Nemanja Malisevic joined Microsoft in 2014. Until recently he led GSSD’s engagement in Germany. Since the launch of Microsoft’s Defending Democracy Program (DDP) he has shifted his focus to leading DDP engagements in Europe. 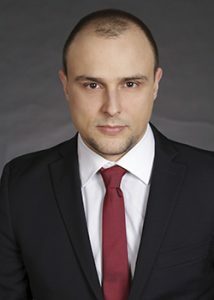 Prior to joining Microsoft, Mr. Malisevic worked more than 10 years for the Organization for Security and Co-operation in Europe (OSCE) where, be was the Organization’s first Cyber Security Officer. In this capacity he was deeply involved in the negotiation of the first set of OSCE cyber/ICT security related confidence building measures (CBMs), adopted in December 2013. Before that, he led the Organization’s efforts dealing with combating terrorist use of the Internet. Mr. Malisevic holds a Bachelor degree (B.A) from the University of Wales (Cardiff, UK) and a Master degree (M.Litt.) from the University of St. Andrews (St. Andrews, UK). He is happily married and the proud father of two daughters.